“America’s Got Talent” has never been the same since Terry Fator won the competition in 2007 with his feat involving puppets. His win opened up new doors and opportunities for budding performers and gave a fresh lease to the industry of puppetry, which was slowly sinking into oblivion. Many have labeled his performance to be a “marriage made in Sesame Street heaven” as he has succeeded in putting the “fun” back in puppetry! Who would have thought about a popular puppet show in Vegas? 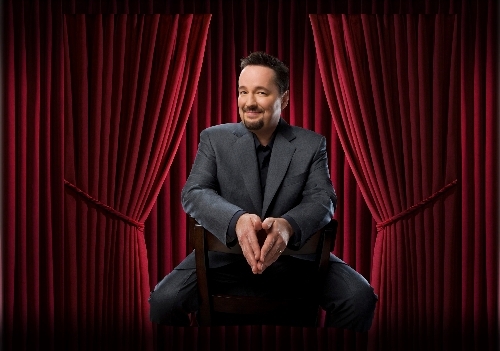 Terry Fator did, and needless to say, he has done it brilliantly. He performs at The Mirage Hotel and Casino here, and has created a world-class act, which is extremely popular – people travel from far and wide to watch his shows. Although his claim to fame was by drawing inspiration from Sesame Street, his show isn’t an ordinary “puppet show”. He infuses a healthy mix of comedy in it, and combined with his impeccable comic timing and excellent impressionist skills, he gets everyone hooked to his 90-minute performance! What does the show entail? Due to the intensity of his shows, there is no warm-up routine involved. The show takes off with Fator and Winston, the Impersonating Turtle, who demonstrates his musical prowess while sharing his fondness for the exclusive Turtle Ranch, which is a running gag during the show. Next is the cowboy-themed puppet – Walter T. Airedale, who cracks jokes and even takes a dig at Fator asking him why he can’t talk when the latter is laughing! Other puppets during the act includes Maynard Thompkins, Wrex the Crash Test Dummy and Vickie the Cougar.